STARLOGGED - GEEK MEDIA AGAIN: THOSE REALLY WERE... THE WONDER YEARS! THE WONDER YEARS really deserves a DVD/ Blu-Ray release but the complexities and costs of music licensing have prevented it. 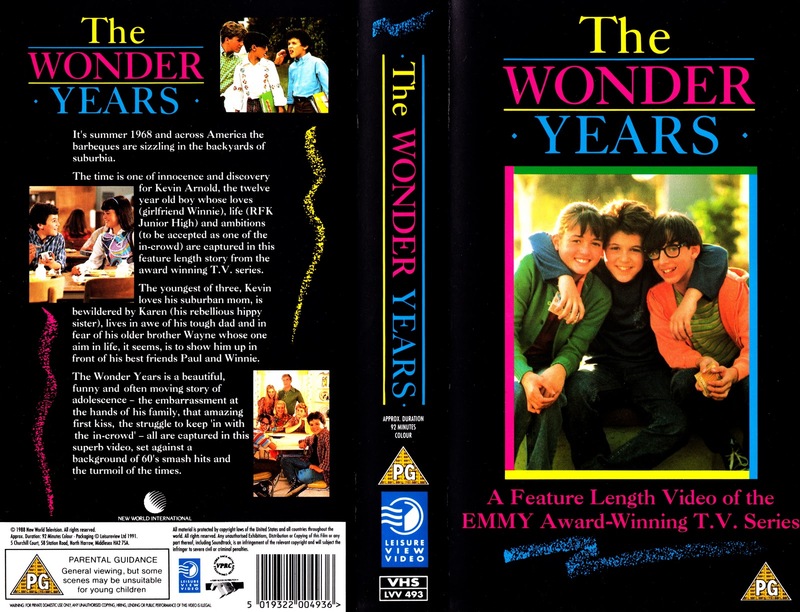 Above is the cover of the 1991 UK VHS release of the first four episodes, re-edited into a movie format. The series, which debuted in the prized post-Superbowl slot, won the 1988 Emmy Award for best comedy series and a Peabody Award in 1989. PART ONE - Follow the links to the rest!